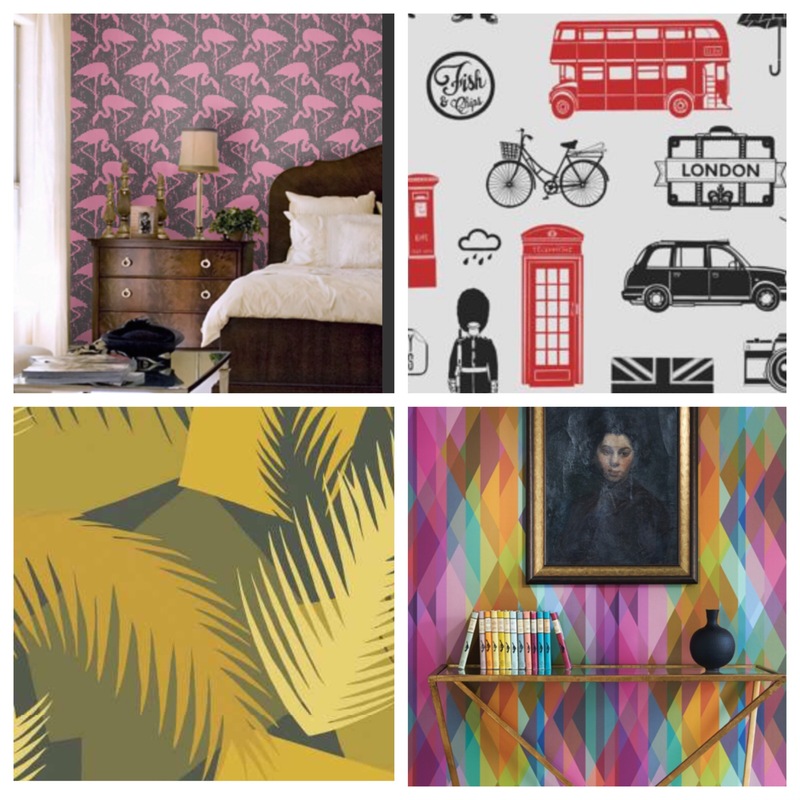 Not that we don’t appreciate a painted wall and the ease of changing colour, but recently wallpaper has just grown in choice with incredible options of style and look for any room. Technology has helped us by bringing in paste-the-wall paper instead of paste-the-paper, which allows us all to have a go at hanging wallpaper with much more ease. To pin point a favourite would be hard but we’ve rounded up groups of our favourite designs and found some of the best stores to head to. Make a statement with a bold design. For a wow factor, especially effective with nature and floral designs, cover all walls and then push the look further with more strong patterns in the soft furnishings. This look can be softened, instead, by using minimal accessories, clean line furniture and lots of white. 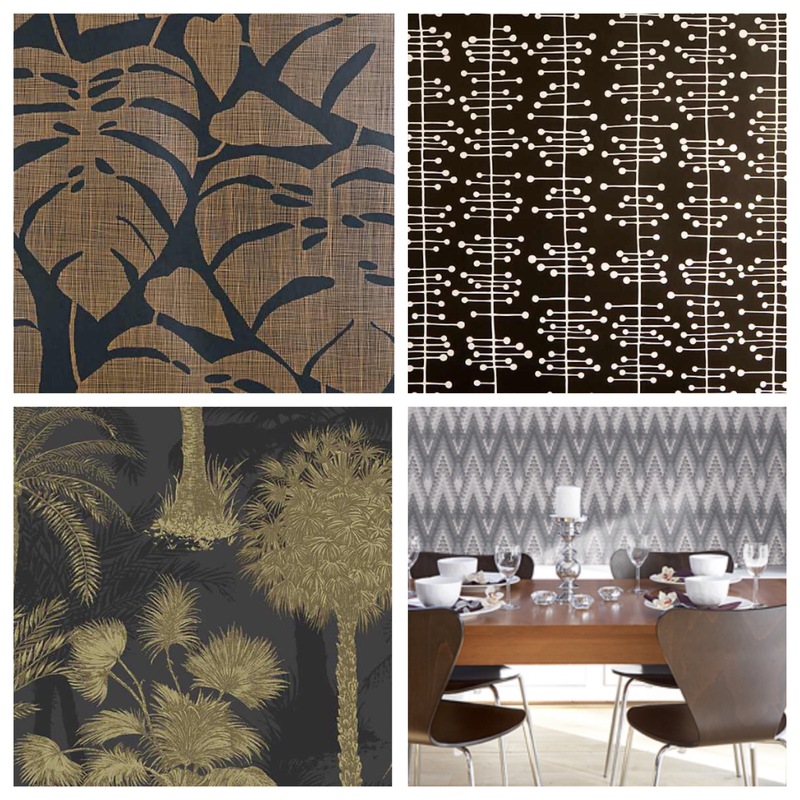 Bold patterns can also be effective on a solo wall as a feature wall and then when styling the room pick one or two colours to follow through in the choice of soft furnishings. Fun and colourful designs are great for a children’s bedroom and can also be both educative, when the designs involve words, pictures and numbers, and interactive, with designs that involve stories, colouring in and games. Visit Graham & Browne and Baltic Shop for interactive options. For a grown up, strong look, it is currently a key trend to go dark in interiors and contrary to belief it actually brightens a room. Contrast with white ceilings, light floors and sits well with dark woods and accessories in monochrome and metallics. A constant favourite is monochrome. Easy to style and regularly update with black and white accessories as well as new on trend colours like copper and also 80s brights, monochrome allows flexibility and never fails to look fresh and stylish. Monochrome sits well with walnut, white or wire furniture. 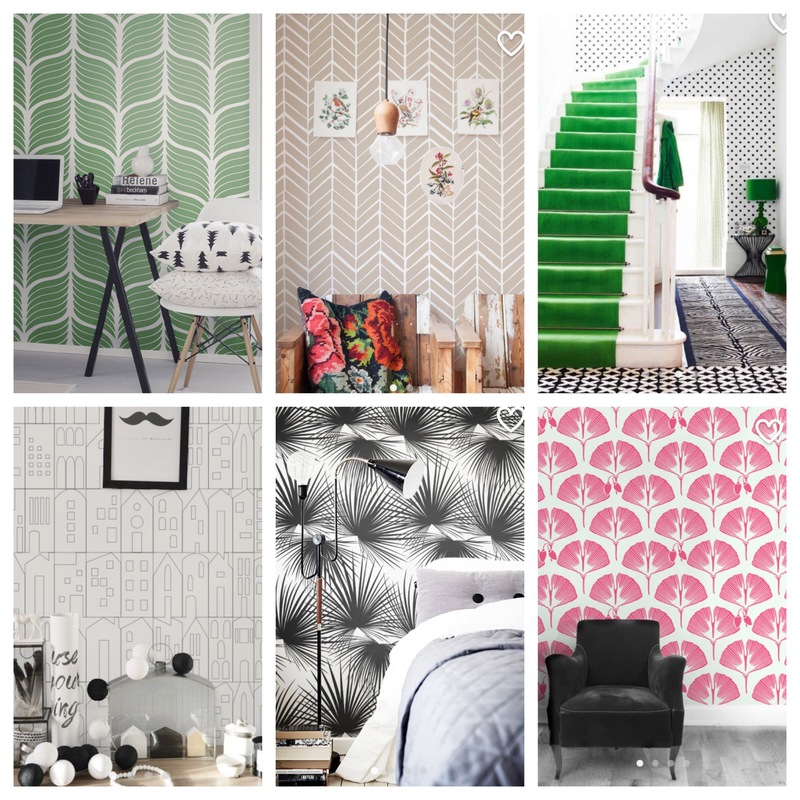 If you decide to go for a wall covering we’ve discovered the excellent range of Betapet who not only have a great selection of bold, on-trend patterned and exciting designs but also, quite brilliantly, their range is self adhesive ensuring decorating is even easier! Head to their Etsy shop and choose from stripes, geometric and nature-inspired designs. 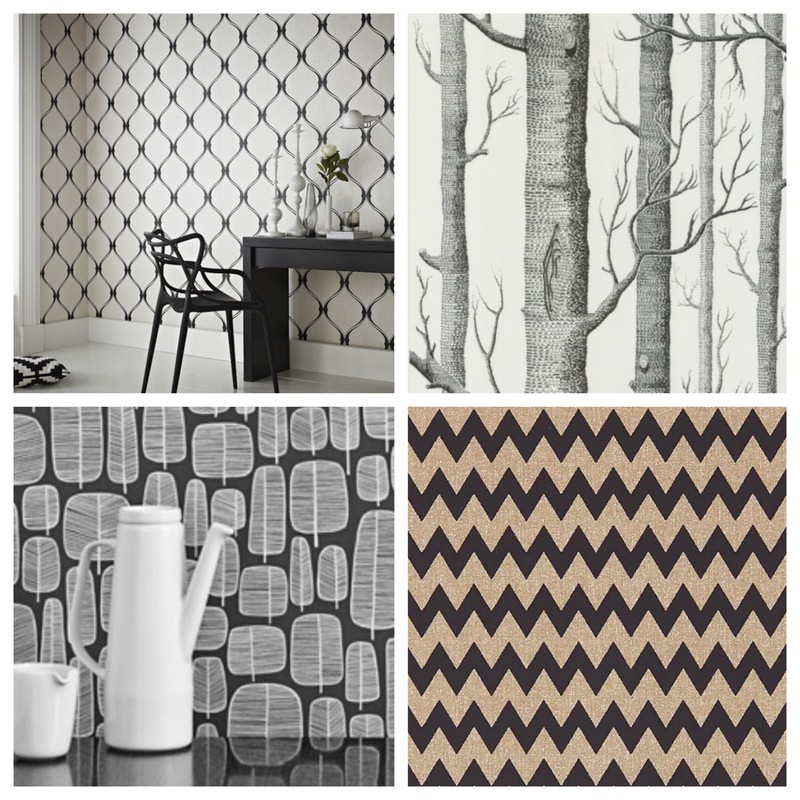 Wallpaper is definitely a modern look and needs to be considered a great way to bring pattern and strong design to interior design. And it isn’t to be discounted, thinking its a hassle to change as realistically it’s just a strip and re-paper if desired. Patterned designs can be great at covering imperfect walls (unlike unforgiving paint) and with new methods of hanging there’s very little mess and fuss!